Combining two of my loves into one: my love of Spock and my love of not getting burned. Available in Pollaz's etsy store and unspeakably awesome. 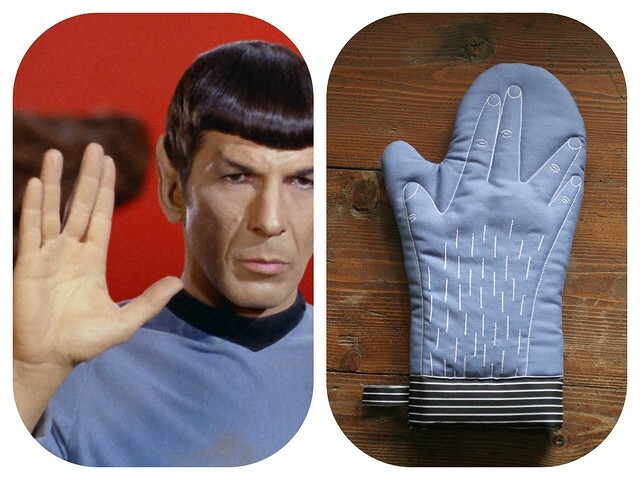 I'm a big fan of Spock and just love this oven mitt! Thanks for sharing it! oh that is simply awesome!!! Too awesome!!! Love love love! I have a few friends that would love this for Christmas or birthdays. speechless at how genius this is!